Want to be a world gaming champ? Here are the records to beat! Every year, Game On! brings you the planet’s top gaming challenges. But who are the crowning victors – the gamers who show the rest how it’s done? Find out! Here are the planet’s ultimate gaming triumphs: the stonking victories that leave all the others in the dust. Interviews with the all-time champions. Background facts and stats. Tips and tricks to turn you into a winner. Basically: the book that makes you play like anything’s possible. Don’t just game. Game like this lot. 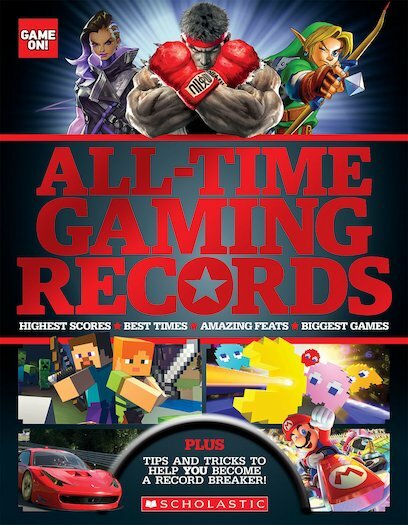 The greatest ever records from the world of Game On!